ACRP-PM® (Association of Clinical Research Professionals – Project Manager) is a new subspecialty designation formally recognizing clinical research professionals who currently hold an ACRP Certification, and have demonstrated knowledge in clinical research project management by passing a 60-question exam. 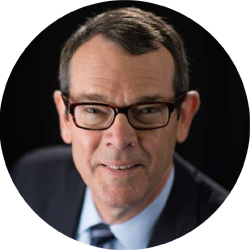 WHY ACRP-PM®, AND WHY NOW? 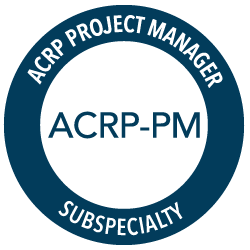 ACRP is introducing the ACRP-PM® credential in direct response to growing demand for validation of clinical research-specific project management competency. As the needs of the clinical research enterprise evolve, ACRP is continuing to develop certification programs to meet those needs. All clinical research professionals with an existing ACRP Certification in good standing can earn the ACRP-PM® Subspecialty Designation. DO I NEED TO BE ACRP CERTIFIED TO EARN THIS DESIGNATION? Yes. The ACRP-PM® is a subspecialty designation only available to clinical research professionals who currently hold an ACRP Certification in good standing. WHAT WILL BE REQUIRED TO MAINTAIN MY ACRP-PM®? Once earned, the ACRP-PM designation will be automatically maintained as long as the credential holder maintains his/her existing ACRP Certification(s). No additional continuing education/continuing involvement points or fees will be required. The ACRP-PM® exam is offered at 600+ testing sites in 80+ countries throughout September and October or February and March. Applications are open through February 8, 2019. Don’t take our word for it! Hear what ACRP Certified clinical research professionals say about what their certification means to them, and to their organizations, by watching this short video.